Update, March 7: You can now claim your free copy of DMC HD, but there seem to be some problems with the port. 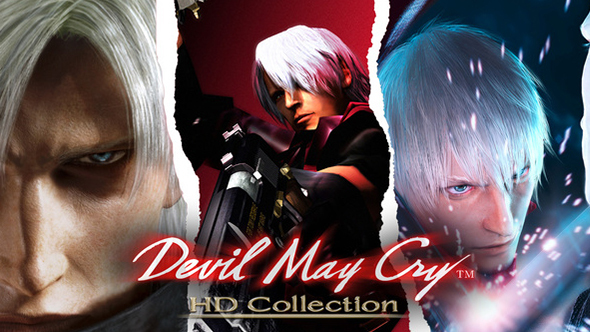 The first part of the Devil May Cry HD Collection is now available on PC as a free bonus for Twitch Prime subscribers. That’s good news on its own, but early impressions haven’t painted an especially positive picture for the port. We’re still hoping we can soon add Devil May Cry 5 to our list of upcoming PC games. Devil May Cry’s port appears to be running fine for most players, but for some the game’s moving at super speed. This seems to be an issue with uncapped framerates on monitors running at more than 60hz, with the game’s logic moving at the same speed as the heightened framerate. External framerate caps have corrected the issue. We already knew these ports weren’t being built to run beyond 60fps, but it would be nice if the cap existed in the game itself. We were expecting the games to run at resolutions beyond 1080p, however, and unless there’s a patch before the proper release it appears that won’t be the case. DMC’s sparse options screen does offer a wide range of resolutions, but they all range from 640×480 to 1920×1080, even when connected to a 1440p monitor. This port also seems to feature a number of significant visual and audio glitches, like Devil Trigger Cerberus’s wings disappearing and audio desync during cutscenes. Many of these issues are being collected on ResetEra, and several seem to extend to the console versions, too. If you’re a Twitch Prime (or Amazon Prime) member you can grab a copy here and see for yourself how it runs. It is still Devil May Cry, but with the full collection set to release in just a few days on March 13 there isn’t much time for these issues to be corrected. Update, February 27: Unfortunately, the free Devil May Cry that was going to be offered through Twitch Prime has been delayed because of “unforeseen technical circumstances,” and it has been pushed back by a week. It’s somewhat disappointing, but tech issues happen, and the end date for the promotion has been pushed back in kind, so you’ve still got about a month to collect your copy of Devil May Cry when the promotion starts. Still: free Devil May Cry is pretty good, eh? Original story, February 13:The original Devil May Cry trilogy is soon to return with a high definition vengeance, and PC players will get an extra bonus. You’ll be able to get the first game for free before the collection is even out – assuming that you’re a Twitch Prime member, that is. Starting February 27, you’ll be able to download the original Devil May Cry via the Twitch Desktop App. The official announcement from Capcom says you’ll “claim” the game, which suggests it will indeed remain available on your account after the promotion is over. The full Devil May Cry HD Collection is set to release on March 13, and there’s a stylish trailer full of high definition action to hype you for the occasion. Marvel at games built for 480i being rendered at 1080p, because we now live in an HD+ era. That’s so many pixels, man. Capcom previously clarified that the HD Collection will support 4K resolutions and “beyond” on PC, but would be locked to 60fps, just like the originals.